There is nothing is more romantic than driving out to the countryside to watch the leaves change hues from the greens of summer to autumn golds, reds, and, eventually, browns. A trip to those places where the leaves change color every year is a wonderful break, a transition from the sweaty heat of summer before the freezing cold of winter. Wondering where to catch Mother Nature's autumn show? Here are some suggestions. Starting as early as mid-September, you'll find the leaves of the yellow birches, American beeches, mountain maples, hobble bushes, and pin cherries are starting to turn into a beautiful fall display. By early to mid-October, the fall colors start to arrive in full force above 4,000 feet. To see the beauty at its best, drive along Clingmans Dome Road, the Blue Ridge Parkway, or the Foothills Parkway. Even into early November, you'll be able to catch some of the most beautiful colors of the year in the sugar maples, scarlet oak, sweetgum, red maples, and hickories. Fall colors are golden throughout Aspen, including at the Maroon Bells Scenic Area, which has beautiful aspen trees surrounding the clear, blue Maroon Lake. You can also drive along Castle Creek Road to Smuggler Mountain or travel Independence Pass Road. Aspen Mountain is aptly named for the trees, which turn as gold as the sun when the temperature begins to drop. Enjoy the beauty of the Ozarks mountain chain, parts of which can be found in Missouri, Arkansas, Oklahoma, and Kansas. The fall foliage begins to color in mid-October and then peaks at the end of October into November. The 35 different oak species that call the Ozarks home put on a magical show, rivaled by the maples, hickories, beeches, ashes, hackberries, gums, and other trees. Be sure to get off the main highways to see the magic in full. Yellows, oranges, and reds are waiting for you! There's more than breathtaking beauty for your autumn travels. Seek out apple orchards, and pick your own fruit. Go for a hike into the backcountry, or get lost in a farm's corn maze. Hayrides can also be a lot of fun, as can be carving pumpkins. Autumn is a wonderful time to spend with loved ones so be creative and enjoy the show! Worried your travels will strain your budget? Instead of maxing out your credit cards, apply for a stress-free, flexible installment loan that you can pay off over time. Installment loans can be better than a cash advance, better than payday loans, and have no hidden fees or credit checks required. Want to learn more? 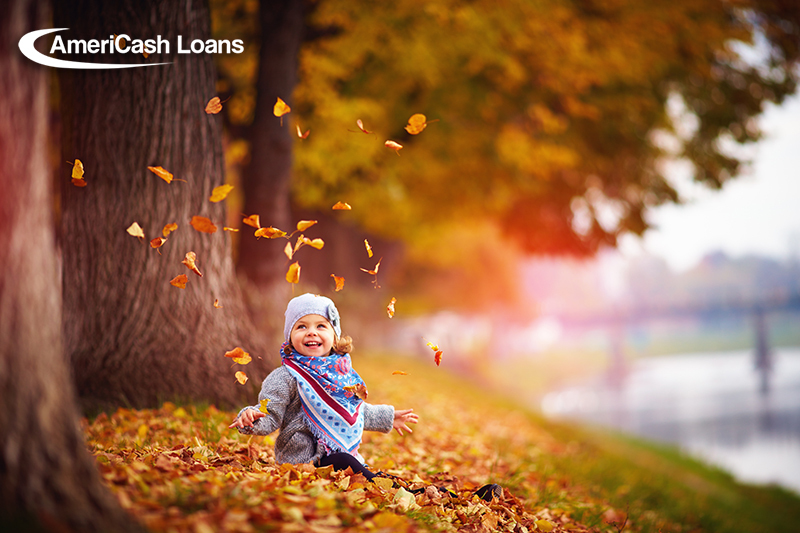 Log on to AmeriCash Loans today to qualify now!